The anniversary of Osama bin Laden’s death last week focused attention briefly on the continued threat posed by al Qaeda. Too much of that attention has been devoted to al Qaeda Central itself—the remnants of bin Laden’s organization that continue to reside in Pakistan under the leadership of Ayman al Zawahiri. 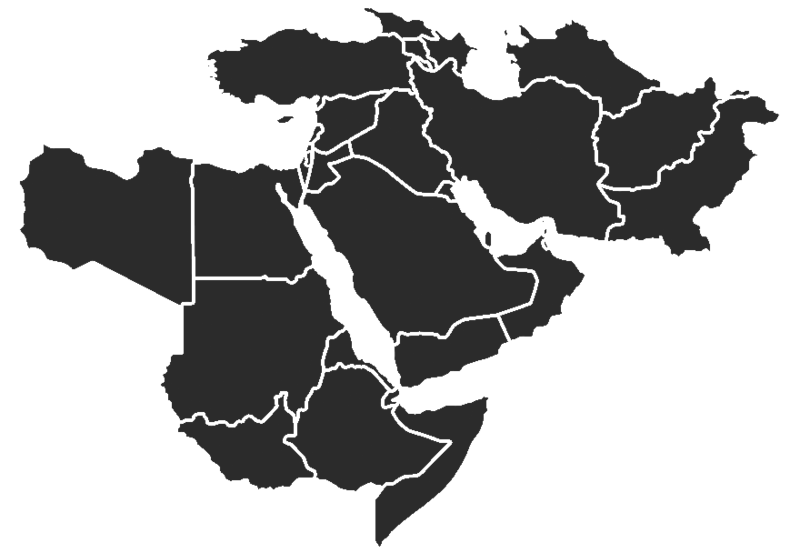 But the greatest and most imminent threats to the U.S. and its allies come not from that group, which ten years of continuous attacks have severely degraded, but rather from its franchises elsewhere, particularly al Qaeda in the Arabian Peninsula (AQAP) and al Shabaab in Somalia, which only recently announced its formal merger with al Qaeda. The viability of the threats these groups pose to the U.S. deserves more careful consideration than it has received. Al Shabaab is of particular concern because of the growing tendency to dismiss it as a significant threat. Discussing the death of Osama bin Laden ahead of the one year anniversary, Assistant to the President for Homeland Security and Counterterrorism John Brennan described the merger between al Shabaab and al Qaeda as “a merger between two organizations in decline.” The problem is that al Shabaab’s leadership and ideology has remained consistent and virulent for many years, despite the rise and fall of particular organizations. Al Shabaab itself may indeed be in decline, although its demise has been reported prematurely before. The danger is that al Shabaab may dissolve and its Islamist leadership and cadre may simply reform into yet another reincarnation of itself while the international community turns its attention elsewhere once again. It is true that al Shabaab is weaker than it was one year ago. The group has had to cede territory to the Kenyan and Ethiopian militaries now operating in Somalia and African Union peacekeepers now control nearly all of the capital, Mogadishu. More notable is the impact of internal divisions on al Shabaab’s operations. It is an open secret that al Shabaab’s core leadership differs internally in its vision for the group: one camp sees the group’s path as following that of other al Qaeda affiliates toward global jihad, while the other holds a more localized Islamist agenda in the establishment of an Islamic state in Somalia. The deaths of key leaders, all of whom were involved with al Shabaab’s foreign fighters, may be the direct result of these divisions. The natures of these deaths have given rise to different theories, yet all seem to unite behind the role of Osama bin Laden’s death last year as a catalyst for change. That change included the targeting of al Qaeda operatives who had enjoyed a sanctuary in Somalia, the formal merger with al Qaeda, and the official recognition of a militia force in northern Somalia. The relationship, if any, among these developments remains ambiguous. The importance of understanding that relationship and, thus, the likely futures of al Shabaab itself, remains critical. Fazul Abdullah Mohammed (also known as Harun Fazul), an al Qaeda in East Africa operative from the Comoros who masterminded the 1998 East Africa embassy bombings, died just over a month after Osama bin Laden’s death. Harun Fazul’s ability to escape capture was renowned, yet he was shot dead the night of June 7, 2011 at a Somali government-run checkpoint in Mogadishu. Al Shabaab still controlled areas within the capital city at the time, and it seemed out-of-character for Harun Fazul to make a wrong turn into government territory. Conventional wisdom holds that al Shabaab sent Harun Fazul to his death, but there is no consensus as to why. Did he outlive his usefulness? Was he standing in the way of the merger? Was it a power play by one of the leadership factions? The answers are not clear, but that Harun Fazul’s death was the first of several among the al Qaeda operatives who worked with al Shabaab. Bilal al Berjawi was the next victim, killed in a January 22, 2012 drone strike outside of Mogadishu. Berjawi, a Lebanese national whose British citizenship had been stripped about a year prior to his death, succeeded Harun Fazul. Berjawi’s relatives believe that a phone call to his wife may have exposed his location for the strike. Al Shabaab confirmed the death shortly thereafter. Some local reports say that Berjawi was killed by an explosive device, not an airstrike. A faction of al Shabaab’s leadership reportedly met after his death in Lower Shabelle region. A mysterious explosion in Mogadishu killed his deputy, Sakr, at the end of February. Finally, Omar Hammami (Abu Mansur al Amriki), an American commander in al Shabaab, released a video on March 16, 2012 in which he expressed fear for his life. Hammami is now believed to be under house arrest in Kismayo, and it is unclear how al Shabaab will handle his case. The February 9, 2012 announcement that al Shabaab had become part of al Qaeda revealed some of the fracture lines within al Shabaab’s leadership. There had been rhetorical ties between al Qaeda and al Shabaab before, most notably in September 2009 when al Shabaab’s leader, Ahmed Abdi Godane (Mukhtar Abu Zubair), pledged baya, allegiance, to Osama bin Laden. The organizations remained distinct, however, despite overtures to bestow franchise-status on al Shabaab from bin Laden in January 2011. The offer was refused, reportedly because of fears of a backlash within Somalia. Al Shabaab was arguably in a much weaker position in 2012 when the merger became official, and the backlash came from within the group’s leadership. Figures such as deputy leader Sheikh Mukhtar Robow and senior leader Sheikh Hassan Dahir Aweys, who have sought to focus al Shabaab on a local, Somali agenda, did not endorse the merger publically. Aweys, whom al Qaeda had courted in the 1990s, openly contradicted Godane’s assertion that no other group outside of al Shabaab could fight for Islam in Somalia, saying that those who differ from al Shabaab’s ideology should not be killed. The rifts within al Shabaab over the group’s role in global jihad have clearly divided the leadership. The question is whether these differences brought on the deaths of the foreign operatives in Somalia over the past year. If so, it is likely that the goal was to strengthen a power base. The saga between al Shabaab and the Galgala militia, a local Puntland-based group, points to an attempt to extend Godane’s base. The Galgala militia had been previously affiliated with al Shabaab due to the close relations of its leader, Mohammed Said Atom, with al Shabaab in Mogadishu. Atom is one of the top arms dealers and was named as the principal supplier for al Shabaab in Puntland. It is believed that Atom may have received instructions from Fuad Mohamed Khalaf (Shongole) and may also have been closely affiliated with Harun Fazul. Further, identical components for explosive devices were found in al Shabaab camps and in Atom’s camps. Setbacks in Puntland may have pushed Atom to begin talks with local Puntland officials. Godane sent Yassin Khalid Osman (Kilwe) to Puntland to prevent Atom from negotiating further in 2010. Kilwe appears to have assumed command of the militia force and swore his loyalty to Godane and expressed support for al Shabaab’s merger with al Qaeda under the emir Ayman al Zawahiri at the end of February 2012. Despite close relations with al Shabaab, Atom had always denied links to the group. It remains to be seen whether the announced allegiance of the Galgala militia to al Shabaab will benefit Godane. There have been significant changes in al Shabaab and leadership divisions have further weakened the group. The deaths of key figures, particularly of Harun Fazul, may have been the result of tensions over the future of al Shabaab—a local or global jihad—and the timing, following shortly after Osama bin Laden’s death, may not be a coincidence. There is currently not enough information to parse the many conspiracy theories from fact. Foreign operatives in Somalia have certainly assisted al Shabaab in the past: their networks provide access to funding and materiel, and they may have also provided necessary expertise. They also operate largely on an individual basis since few, if any, have the protection of a local clan on which to rely. The overall impact of the operatives’ deaths will become more apparent in the months to come. The al Qaeda merger, publically unpopular in Somalia, has yet to begin paying dividends and forced the all-too-apparent leadership divisions into the public sphere. It is too early to herald the end of the al Qaeda threat from Somalia, however. Islamist leaders there have navigated multiple iterations of groups like al Shabaab—al Ittihad al Islamiyya and the Islamic Courts Union, for example—and nothing prevents the leadership from morphing al Shabaab into something new. Whether al Shabaab will remain on the decline will be seen. It should be noted that the Ugandan Joint Anti-Terrorism squad suspected Berjawi of sneaking into the country in November 2009. A suspect with Berjawi was Sakrih Mohammed, whose name bears similarities to Sakr, Berjawi’s deputy in Mogadishu.